When in doubt, drain it out! Unless you own a well, you get your water from one of the 24 agencies that make up the San Diego County Water Authority. Water rates are divided into tiers based on the amount of water you use. 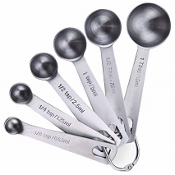 If you use a lot of water you pay a little more. If you conserve water you pay a little less. 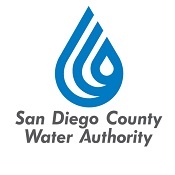 Water rates vary between districts but the highest standard water rate you can pay in the City of San Diego is $11.13 per "unit" of water (February 2019). 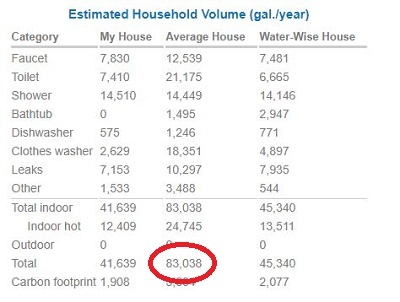 A typical single-family home in the City of San Diego uses 83,000 gallons per year or 9.5 HCF per month so most people pay $5.540 for 748 gallons of water. $5.540/HCF ÷ 748 gallons = $0.0074 per gallon! Simple Hot Tub Chemistry starts with the idea that the fresh water coming out the end of your garden hose only costs $0.0074 or 7/10 of one penny per gallon. That means you can replace 400 gallons of water for less money than driving to the store and buying a single quart or even a single pint of any specialty product sold to treat 'complex' water problems. Portable hot tubs come in all shapes and sizes from 200 gallon plug-in models you can push onto your patio to 2,000 gallon swim-spas that can only be delivered with a crew and a crane but a good average for a typical hot tub is around 400 gallons. $2.96 to refill a 400 gallon hot tub! Even when you add in sewer rates you can still refill the average 400 gallon hot tub for less than the cost of a single pint of any product designed to treat the water! Portable hot tub owners pour pounds of chemistry and buckes of money into a a batch of water because the instructions on the bottle tell them to. Don't get burned soaking in a caustic, chemical brew! Just because you can fix a problem by adding more chemistry doesn't mean you should. Would you rather spend $50.00 at the supply store so you can soak in more chemical byproducts or spend $2.96 at the end of your garden hose so you can soak in a clean, fresh batch of water? But what about wasting water? Your portable hot tub doesn't actually use water. Your covered, insulated tub is essentially a sealed tank that stores and recycles water. In fact, (unless you own a fish tank) your hot tub is the most water-efficient appliance in your home! Every other water-using appliance in your home uses water because it dumps every drop of water down the drain after just one use. High-efficiency clothes washers dump 15 to 30 gallons per load. Older washers dump 29 to 40 gallons per load! Your portable hot tub is the only appliance that stores 400 gallons then automatically filters and recycles every gallon every day so you can soak in the same batch of water for weeks or months! You get more miles-per-gallon from your portable hot tub than any other applliance in your home so you should never feel guilty about draining your hot tub and refilling it with a fresh, clean batch of water. Visit the Simple Hot Tub Chemistry Explained page for a more tips on water conservation for hot tub owners. Simple Hot Tub Chemistry: Just Add Water! Click to SCHEDULE a $145.00 Drain-Clean-Refill & Simple Hot Tub Chemistry Startup! 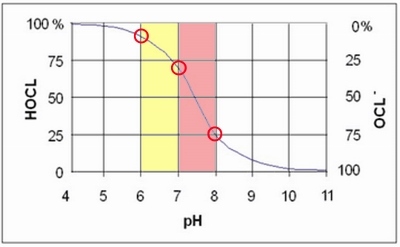 Visit the Simple Hot Tub Chemistry Explained page for more information on pH, Total Alkalinity, the difference between sanitize and oxidize and the role of cyanuric acid in your covered, portable hot tub. Half the trouble in hot tub chemistry starts with using the wrong sanitizer. Most hot tubs come with a "start-up kit" that includes bromine or chlorine tablets which work great if you use your hot tub every day or at least every other day. Since most people don't use their hot tubs that often, bromine or chlorine tablets tend to overdose your hot tub with sanitizer which turns your soothing soak into a caustic chemical brew that can irritate your eyes, nose and skin and permanently damage your hot tub. Bromine and chlorine tablets tend to overdose portable hot tubs with excessive sanitizer and lower pH making the water very acidic. "Dichlor" (Sodium dichloro-s-triazinetrione) is a form of granular chlorine you can add manually in small, controlled doses measured with Teaspoons and Tablespoons so you decide how much chlorine is in the water each time you use your hot tub! Visit the Simple Hot Tub Chemistry Explained page for a more details on why small, controlled doses of Dichlor are probably the best choice for your portable hot tub. If you're simmering in a cauldron with caustic acid and chlorine gas bubbling up inches from your nose... you're going to have a bad soaking experience. 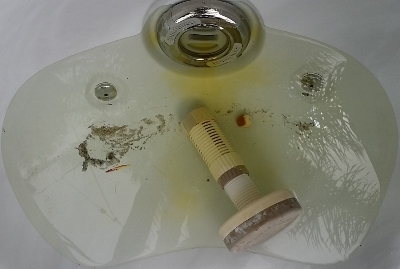 The leading causes of chlorine overdose in portable hot tubs are floating tablet dispensers or tossing too many "capfuls" of chlorine into your tub when proper dosing for a 400 gallon tub should be measured in Teaspoons and Tablespoons. 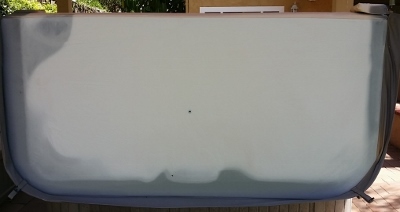 Chlorine overdose combined with extremely low pH can bleach out the bottom of your cover and cause permanent chemical damage throughout your hot tub in just a few weeks. If this combination of bad chemistry can damage your vinyl hot tub cover imagine what it does to your skin every time you soak! Visit the Simple Hot Tub Chemistry Explained page for a more details on why small, controlled doses of Dichlor are probably the best choice for your hot tub. But how does my hot tub stay clean between soaks? The answer to that question reveals why so much of the water chemistry advice you've been given simply doesn't work in your tub. You can't treat your covered, portable hot tub like a small, uncovered swimming pool that happens to get hot. An uncovered swimming pool is essentially a man-made pond and nature spends 24 hours every day trying to turn every pond into a swamp. Dust, pollen and debris laden with bacteria contaminate the water all day every day so an uncovered pool or spa needs a constant supply of chlorine to keep it clean, clear and sanitary. 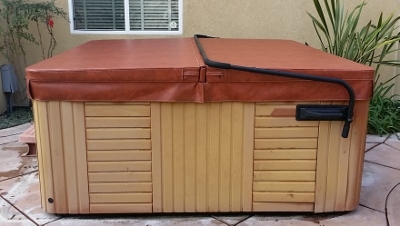 Your covered portable hot tub is more like a sealed tank: the water is protected from the outside environment so it only gets dirty when you remove the cover and soak in it so your tub needs more chlorine when you soak but very little chlorine between soaks. Visit the Simple Hot Tub Chemistry Explained page for a more reasons why conventional, complicated chemistry instructions just don't work in your hot tub. Visit the Simple Hot Tub Chemistry Explained page for a more detailed discussion of pH in portable hot tubs. Visit the Simple Hot Tub Chemistry Explained page for a more detailed discussion of sanitation and oxidation in portable hot tubs. A fresh, clean batch of water is usually the simplest, fastest, most cost effective and most efficient way to solve every kind of 'complex' water problem you might encounter in your covered, portable hot tub. 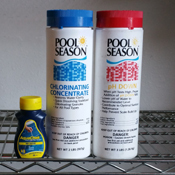 Drain and refill your portable tub every three or four months and you can avoid any need for 90% of the complex chemical products sold at the pool & spa supply stores. Just because you can fix a problem by adding more chemistry to the same batch of water doesn't mean you should. A 400 gallon batch of water is cheaper than any pint or pound of any product sold at the supply store to treat the water. A fresh batch of water fixes problems faster, more efficiently and more effectively than adding more and more chemistry. 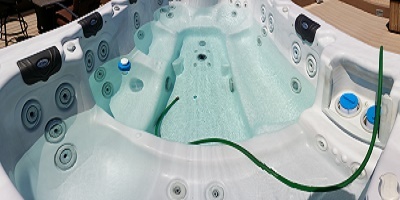 Simple Hot Tub Chemistry: Drain and refill your portable hot tub as often as needed to avoid complex problems and eliminate any need for expensive, complex chemical solutions. Visit the Simple Hot Tub Chemistry Explained page for a more detailed discussion of water conservation in portable hot tubs.